Home / Building / Study / WHY BANDUNG CALLED "PARIS VAN JAVA" ? 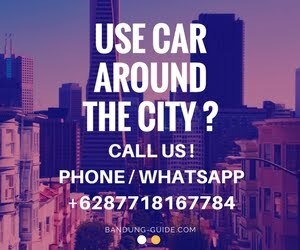 WHY BANDUNG CALLED "PARIS VAN JAVA" ? Paris van Java phrase was indeed popularized first by the Dutch people. Haryoto Kunto historian recounts the possibility of a nickname from a Dutch Jewish merchant named Roth. "To promote his wares at the annual Jaarbeurs night market (now Jalan Aceh) in 1920, Roth popularized the Parijs van Java phrase," Kunto writes in Bandoeng Tempo Doeloe's book. For Roth, the owner of the furniture and interior, the term Bandung Parijs van Java is very important for its trade promotion. Since long Paris has become the fashion center of the world, so the frill of Paris's name is expected to steal people's interest to come to the annual night market in Bandung. "The slogan became even more popular after Bosscha (the leading plantation manager in the Indies) often quotes it in various speeches in front of the Bandung community ..." Ridwan Hutagalung and Taufanny Nugraha wrote in Braga Heart Parijs van Java. In addition to these factors, Ridwan also argues if Bandung as Paris its Java Island emerged because of the rapid development of Paris fashion that coincided with the enthusiasm of the people in Bandung in the arts. Call it among them is the art of architecture, which implements art deco as a reference of building construction in almost all antero city of Bandung. "The most prominent example is the Hotel Building Preanger and Savoy Homan," said Ridwan. In the world of fashion, the taste of Bandung again "very Paris" at that time. 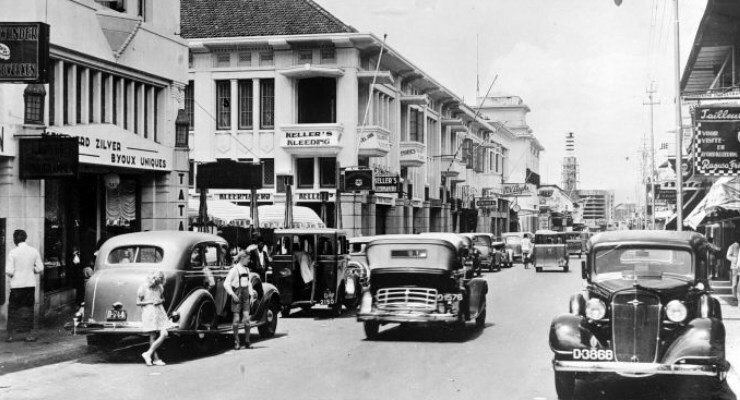 In Bandung in the era of the 1900s, there was a shop called Aug. Hegelsteens Kledingmagazijn (located in Jalan Braga area), where Bandung people want to perform "more current". The shop became more famous when it changed its name to French: Au Bon Marche Modemagazijn founded by businessman A. Makkinga in 1913. "In its heyday, fashion with the latest fashion trends from the fashion center in Paris will soon be on display in this store," said the man born in Pematang Siantar in 1967. The prestigious Au Bon Marchel store at that time, reflected in each of their advertisements in magazines. There they offer a variety of soft silk fashion with a selection of floral designs and clothing elegant style. Written in the ad: wij brengen steeds de laatse mode (we always present the latest fashions). "The prospective buyer is then convinced with the addition of a sentence: zie geregeld onze etalages" (see our well-crafted window), "Ridwan wrote. How about the price in the Au Bon MarcheI Modemagazijnronis Store? Do not ask, of course exorbitant. This is reasonable considering the clothes on display in the shop window is a first-class fashion so that ordinary people are difficult to have it. This fact is ironic if knowing the name of the bon marche itself can be interpreted freely into "cheap shopping".